for the hash: leftover roasted beets & butternut squash, added to sauteed onion & garlic. Sprinkled with rosemary and pepper. Lots of pepper. for the salad: arugula, shaved parmigiano reggiano, balsamic dijon vinaigrette. for the topper: a large egg, poached for two and a half minutes, pierced and flowing with hot golden yolk. 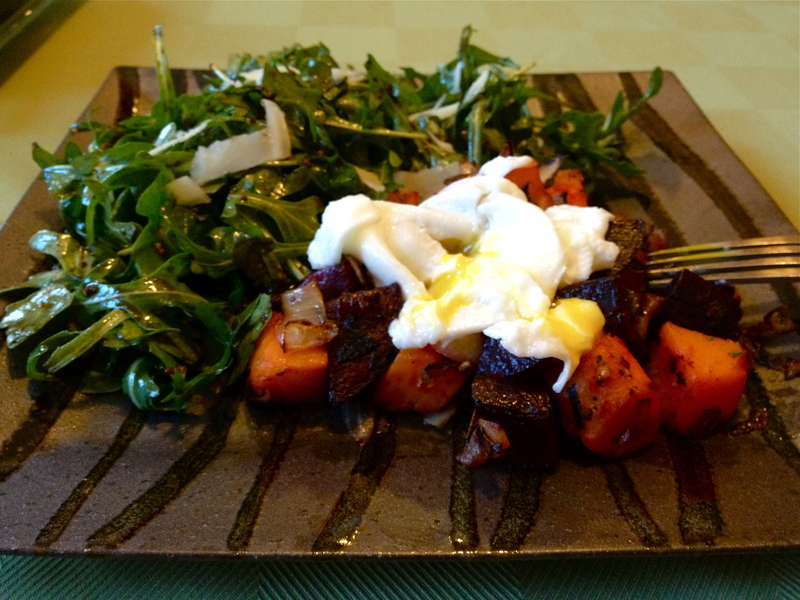 This entry was posted in Musings, Savory and tagged arugala, brunch, dinner, eggs, hash, healthy, lunch, pepper, photos, poached, recipes, salads, vegetables. Bookmark the permalink.